Professor Lees graduated from Oxford and Cambridge Universities in 1982 and 1984 respectively. The basic surgical qualification Fellow of the Royal College of Surgeons of England (FRCS) was gained in 1988 and the Intercollegiate Specialty Fellowship in Plastic Surgery FRCS(Plast) in 1995. Higher surgical training was undertaken in Billericay/London and later in Leeds/ Bradford with time also spent gaining further specialist hand surgery experience in Louisville, Kentucky (USA) and Boston (USA) through 1996. Appointment as Consultant in Plastic, Reconstructive and Hand Surgery followed in 1997 at Wythenshawe Hospital, Manchester. Professor Lees undertakes a full range of cosmetic surgical procedures. She is also known for her expertise in hand, wrist and upper limb surgery. She maintains an active research and teaching programme having published over 65 papers in the medical literature and contributes regularly as presenter at national and international scientific conferences. Professor Lees is past Chair of the Specialist Advisory Committee (SAC) in Plastic Surgery leading for plastic surgery training in the UK and Republic of Ireland and was previously examiner for the Intercollegiate Examination in Plastic Surgery. She was also a Council member of the British Association of Plastic Reconstructive & Aesthetic Surgeons (BAPRAS). She was formerly Chair of Education & Training for, and Council Member of, the British Society for Surgery of the Hand (BSSH). She led the development of the Postgraduate Diploma in Hand Surgery that has provided a new paradigm in higher specialist training and recently developed the Masters in Hand Surgery programme (BSSH/University of Manchester). She has been recent past President of BSSH leading that organization in promoting best practice in hand surgery. In the past she has served as Council Member for the British Association of Aesthetic Plastic Surgeons (BAAPS) and represented BAAPS on the charitable Healing Foundation promoting research into relevant areas of aesthetic research. As part of the initiative led by Sir Bruce Keogh Professor Lees has been part of the Certification and Credentialling in Cosmetic Surgery work group that has produced the guidelines around recognition of practioners of safe cosmetic surgical practice. Professor Lees holds Clinical Academic Chair in Plastic Surgery of the University of Manchester and has ongoing commitments to research with particular interest in functional anatomy of the hand, wrist and forearm and adipose derived stem cells with respect to fat graft survival. 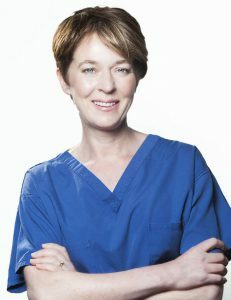 She was awarded a Hunterian Professorship for 2011 for her work on ‘Functional Anatomy of the Distal Radioulnar Joint’ by the Royal College of Surgeons of England. Involvement as nationally-elected Council Member of the Royal College of Surgeons of England has generated commitment to and activity around the Lady Wolfson Emerging Leaders programme encouraging women in surgery to take up leadership positions. Professor Lees is Council Lead for RCS International helping to increase surgical capacity in the low and middle income countries. Professor Lees is married with three step daughters. Outside work she enjoys history, ceramics, fell walking and spending time with family and friends. She holds a private pilot’s licence. ‘An investigation of angiogenesis in mammalian skin autografts.’ VC Lees, 1993 Cambridge University. Walter Langdon Brown prize awarded for best MD. MD thesis supervised: ‘Biomechanics of the Distal Radioulnar Joint in Health and Disease.’ H Shaaban. Awarded University of Manchester 2001. PhD thesis supervised: ‘Functional anatomy of forearm mechanics.’ P Malone. University of Manchester. MSc thesis: ‘Management of chronic scapholuante instability – a Systematic Review.’ Current supervisee Z Naqui. The Growing Hand (Eds. A Gupta, SPJ Kay & LR Scheker). 1999. Churchill Livingstone, London. Malone PSC, Shaw O & Lees VC. Anatomic Relationships of the distal and proximal radioulnar joints articulating surface areas and the radius and ulna bone volumes – Implications for biomechanical studies of the distal and proximal radioulnar joints and forearm bones. Frontiers in Bioengineering and Biotechnology 2016; 4, article 61: 1-7. Johal KS, Lees V, Reid AJ. Selected adipose-stem cell supplementation for promoting autologous fat graft survival in plastic surgery. Int J Surg 2015; 18 : 241. Malone PSC, Cooley J, Terenghi G, Lees VC. The effect of elbow extension on the biomechanics of the osseoligamentous strucutres of the forearm. J Hand Surg American 2015 ; 40A(9) : 1776-84. Lees VC, Warwick D, Gillespie P, Brown A, Akhavani M, Dewer D, Boyce D, Papastasiou S, Ragoowansi R, Wong J. A multicentre, randomized, double-blind trial of the safety and efficacy of mannose-6-phosphate in patients having acute Zone II flexor tendon repair. J Hand Surg European 2015; 40E(7) : 682-94. Malone PSC, Cooley J, Morris J, Terenghi G, Lees VC. The biomechanical and functional relationships of the proximal radioulnar joint, distal radioulnar joint and interosseous ligament. J Hand Surg European 2015; 40E(5): 485-93. Malone P, Hutchinson C, Terenghi G, Twining C, Lees VC. Subluxation-related ulnar neuropathy (SUN) syndrome related to distal radioulnar joint instability. J Hand Surg European 2012; 37: 652-664. Kalson N, Malone P, Lees VC. Fibre bundles in the human ECU tendon are arranged in a spiral. J Hand Surg European 2012 : 37E(6): 550-554. Lees VC. The functional anatomy of forearm rotation. Journal of Hand and Microsurgery 2009; 1(2): 92-99. Lees VC. The Postgraduate Diploma in Hand Surgery: training hand surgeons of the future in the UK. Journal of Hand Surgery 2008; 33E(2):98-102 . Shabaan H, Giakis G, Bolton M, Williams R, Scheker LR & Lees VC. The distal radioulnar joint as a load-bearing mechanism – a biomechanical study. Journal of Hand Surgery 2004 : 29A: 1: 85-90. Lees VC & McCabe SJ. The rationale for hand transplantation. Overview. Transplantation 2002: 74(6): 749-753. Bayat A, Shaaban H & Lees VC. The pulley system of the thumb: Anatomical and biomechanical study. Journal of Hand Surgery 2002; 27A: 628-635. Lees VC. Successful revascularisation of digit in a neonate. Journal of Hand Surgery 1999: 24A:4; 812-815. Moghaddam A, Zhang H-T, Fan T-PD, Hu D-E, Lees VC, Turley H, Fox SB, Gatter KC, Harris R & Bicknell R. Thymidine phosphorylase is angiogenic and promotes tumor growth. Proceedings of the National Academy of Sciences USA 1995; 92 : 998-1002. Lees VC & Briggs JC. The effect of initial biopsy procedure on prognosis in Stage 1 invasive cutaneous malignant melanoma – review of 1086 patients. British Journal of Surgery 1991 ; 78(9) : 1108-10. Professor Lees has frequently been invited to lecture at national and international meetings.